L&T Finance Holdings has come out with an IPO of via issue of equity shares of Rs. 10 each priced between Rs. 51 to Rs. 59 per share. The company is promoted by Larsen & Toubro Ltd, one of the leading bluechip companies in India, with wide range of interests in engineering, construction, electrical and electronics manufacturing and services, information technology and financial services. L&T Finance Holdings has a strong retail reach with more than 800 points-of-presence spread across 23 states. 1. 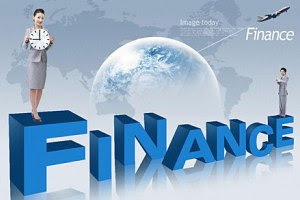 L&T Finance – retail and corporate finance lending. 2. L&T Infra – infrastructure financing. 3. L&T Investment Management with a mutual fund business. Issue Size: Rs. 1,245.00 Crore. Issue Open: Jul 27, 2011 - Jul 29, 2011. Issue Price: Rs. 51 - Rs. 59 Per Equity Share. Market Lot: 100 Shares, to be listed at BSE and NSE. Rs. 120 crore of the issue size is reserved for L&T shareholders and they can apply through a separate application form. The book value stands at about Rs.25 and at the upper band of Rs. 59 per share, shares are being offered at a price-to-book value (PBV) of 2.23 x times. The other listed companies in this space, like Shriram Transport Finance,IDFC,M&M Financial Services are currently trading at slightly higher valuations than L&TFH. L&TFH owns close to a 5 per cent stake in Federal Bank and City Union Bank. It also owns L&T Mutual Fund which has an asset base of Rs 5,200 crore as of June 2011 and all these stakes could add further boost to the valuations.L&TFH is having diversified and high quality loan book, superior interest spreads and sustainable demand in various segments of presence. All these features make long term investors comfortable in investing in this IPO. L&T brand is a positive one and this is a issue for long term, not for listing gains.